It’s shoot-first, ask-questions-later all over again, as the city will commission an “independent review” of its water billing system. The announcement yesterday by Public Works Director Rudy Chow comes two weeks after the Board of Estimates (which includes Chow) voted to raise the usage rates by roughly 10% per year over the next three years. And it’s been one week since DPW released a consultant’s report presented as the basis for the rate hike that the BOE had already approved. The review comes amid a hornet’s nest of customer complaints about high and inaccurate billing that, buzzing for years, that has been stirred up by the latest rate increase. Much of the public ire has been directed at Mayor Catherine Pugh. “I propose a special vote for a 30% pay cut in the Mayor’s and all the City Council’s salaries,” one woman wrote in the Highlandtown Neighbors Facebook page, complaining about the spike coming to water bills. 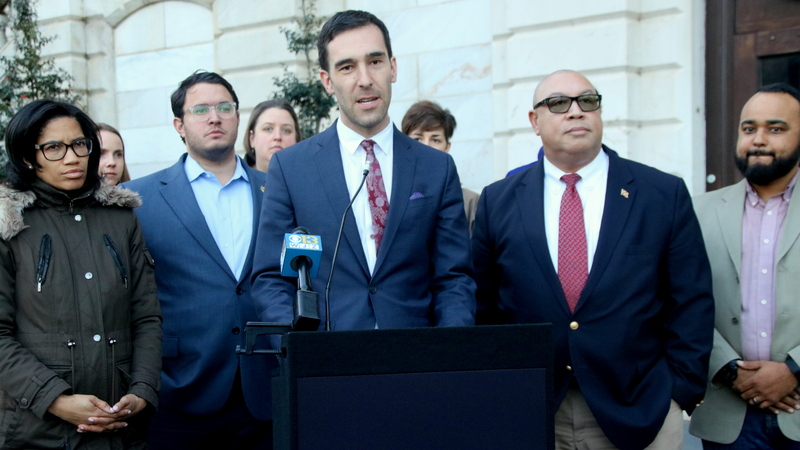 “Please be aware that 5 members of the City Council stood up against this rate hike,” Councilman Zeke Cohen said in response, pointing to the 11th-hour plea he and other Council members made to pause it. Such citizen discontent got muted acknowledgement in the DPW press release. Advocates said they welcome a review of persistent billing errors, but find DPW’s concern belated. “It’s great that they’re coming into the community and listening to people, but it’s bizarre that they’d raise rates and then say, ‘Oh, we might have been sending you incorrect bills,’” said Rianna Eckel, Maryland organizer for the Food & Water Watch. Taking heat for the hikes when they were announced, she would likely welcome any data to support her cause. It’s unclear what Pugh would do if DPW is found to be issuing erroneous bills. A spokesperson for the mayor did not respond to inquiries regarding that circumstance. Chow, meanwhile, stressed that establishing public trust is at the crux of the study. DPW spokesperson Jeffrey Raymond said the department has not yet selected a group to conduct the audit. The time frame is also currently unclear, though he anticipates a quick review. Already eyed as a likely issue is the “new organizational structure” implemented by the October 2016 changeover to the BaltiMeter water system. That system was hailed at the time as “the next wave of water billing” – the replacement for a four-decades-old model that often contributed to erroneous billings. BaltiMeter, DPW boasted, afforded the department the ability to easily collect water consumption data and provide customers with direct access to their own data. It would send bills monthly instead of quarterly, allowing users to better interpret and address discrepancies with their bills. But the new system also required DPW to hire new staff workers and train them, create new business processes, and learn to work with new communication networks, meters, and billing systems – logistical headaches that could have gummed up the works, or created new pathways to erroneous billings. Chow cited the review as an opportunity to “evaluate our progress to date” and identify areas of improvement within the system. One wouldn’t be alone in wondering why DPW couldn’t ensure it was collecting an honest amount of money for water use before raising the rates. In fact, that’s been the chorus from a quintet of City Council members over the past month. The city has framed the increased water rates around an expressed need to generate more revenue to cover costs. A Raftelis Financial Consultants report, commissioned by the city and made public last week, indicated that a 9.9% increase in the FY2020 rate would generate 8.2% in additional water revenue. Bondholder reports obtained by The Brew forecast that the latest rate hike would collect $215 million in surplus money – or “profits” – between now and June 2022. By city law, water and sewer rates are supposed to be self-sustaining and not result in either a profit or a loss. Led by Cohen, the Council faction has lobbied for increased transparency and information gathering in the face of the rate hikes. The lawmakers have expressed frustration that the latest increases were implemented before any type of revenue and expenditure review went to the public. Chow was singled out for failing to respond to other public officials’ queries about the increases. Cohen told The Brew yesterday that he doesn’t doubt an independent audit will show a rash of billing issues. 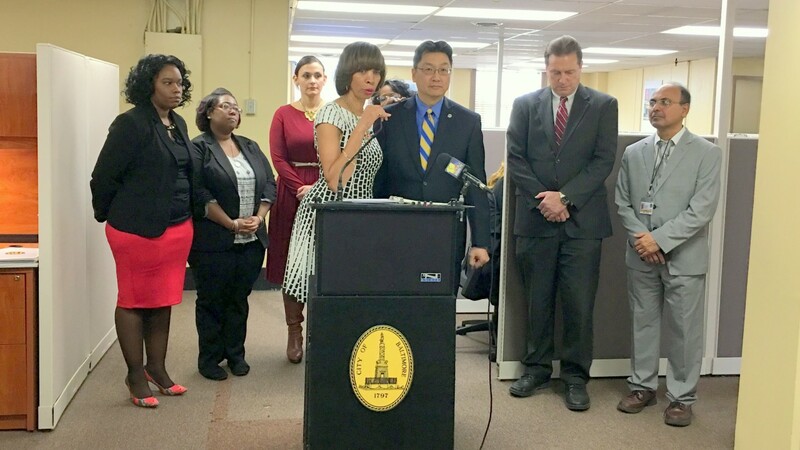 Council President Bernard C. “Jack” Young put forward a bill last month that would create a system of oversight for billing disputes, as well as an office separate from DPW to field those issues as they come in. DPW’s announcement comes as still others have cast their eyes on Baltimore’s water system. Last week’s issuance of the Raftelis report spurred Comptroller Joan Pratt to sic the Department of Audits on the revenues, expenditures, reserves, related construction projects “and other areas” of the city’s water services. As for DPW’s latest announcement of the planned “independent review,” Pratt declined to comment. “I am reserving comment on DPW’s announcement until the Department of Audits has completed their work with respect to the Mayor’s request that an audit be performed on the justification for Bureau of Water and Wastewater’s recently approved rate increases, billing operations, and collections history,” she said. Critics including Cohen welcome the audit, but argue that it, like the water billing review, could have been done before the mayor and the Board of Estimates OKed the latest water increase.